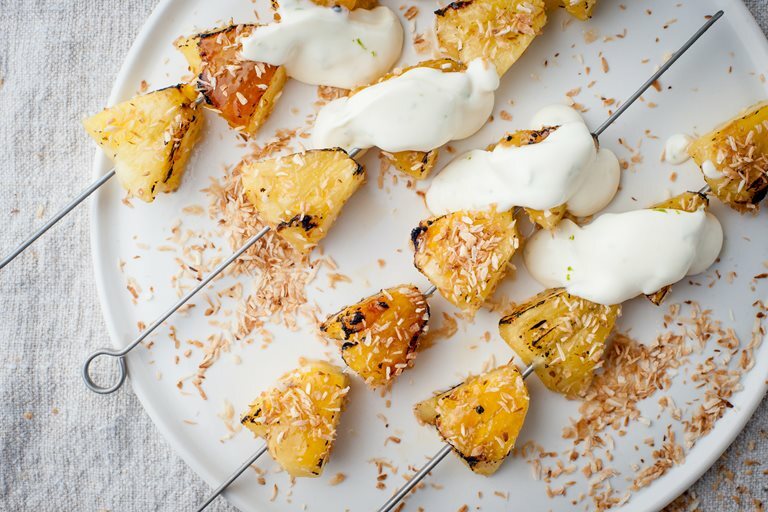 This recipe from William Drabble, is a great way to serve pineapple. The lime and coconut are perfectly paired with sweetness of the pineapple. 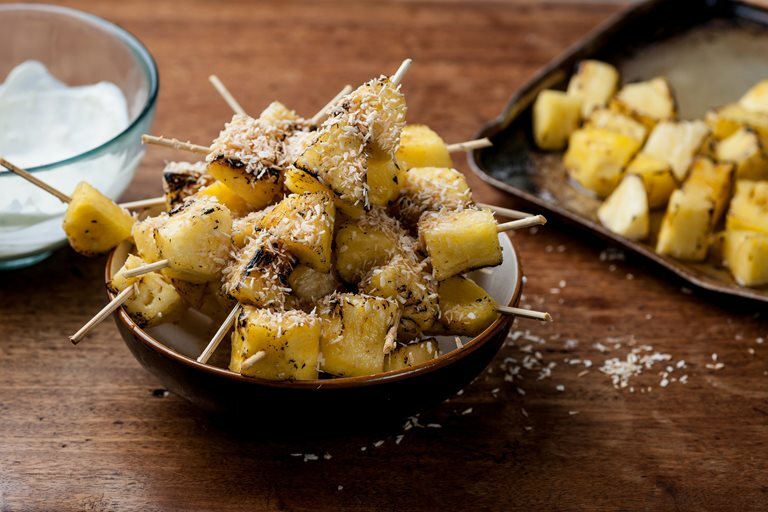 If you want you can barbecue the pineapple rather than grilling it.